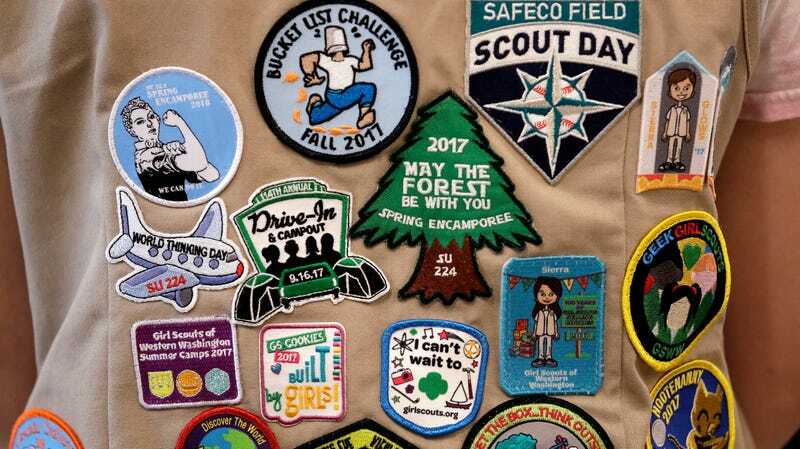 Adult summer camps abound; enamel pins and patches are in vogue. So really, it’s about time somebody made a comedy about a group of women who form a feminist adult Girl Scout troop. NBC has put in development Woman Scouts, a comedy from former Late Night With Seth Meyers writer Allison Hord, Champions co-creator Charlie Grandy, Seth Meyers and Mike Shoemaker’s Sethmaker Shoemayers Productions and Universal TV where the company is based. Written and co-executive produced by Hord, Woman Scouts centers on a feminist who, after dropping out of grad school, pledges to kickstart the lives of a group of women by becoming an adult Girl Scout troop. There’s no limit to what life achievement badge they can conquer together, if they can just figure out the whole sisterhood thing first. Honestly, I would do this, but purely as a scam to stockpile Girl Scout cookies, for which I am now desperate.